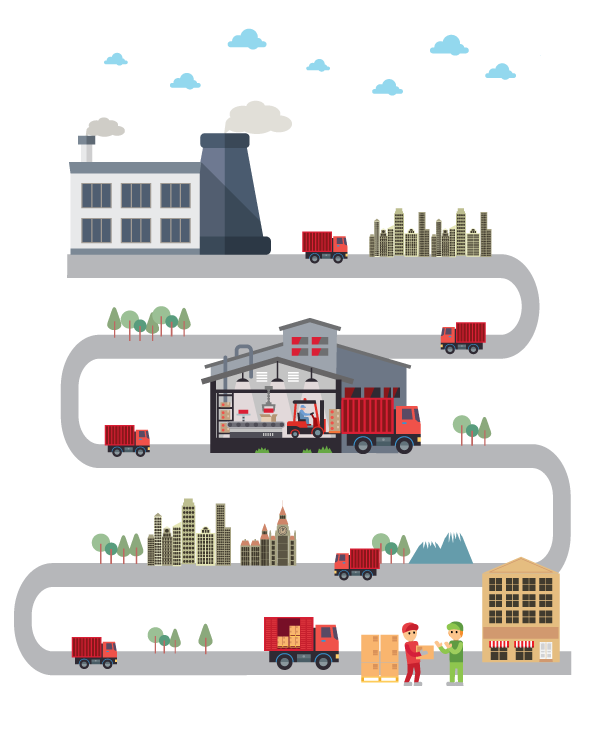 If you want to sell your prod­ucts in Europe, CAPLINQ’s order ful­fill­ment ser­vices can pro­vide to your com­pa­ny the best sup­ply chain, from ship­ping to stor­age, deliv­ery to invoice. In this arti­cle we are going to explain exact­ly how our order ful­fill­ment works, thus you can import and sell your prod­ucts in the Euro­pean Union with­out the has­sle and expense of set­ting up a Euro­pean com­pa­ny. First of all, the sup­ply chain starts with an order. Your client place the order direct­ly to your com­pa­ny, a copy of the pur­chase order is sent to CAPLINQ in the moment of the pur­chase. There­fore, CAPLINQ begins to plan the ship­ment of goods. CAPLINQ pick up goods direct­ly from the fac­to­ry. The sup­pli­er is the own­er of the goods until they reach the cus­tomer. Insur­ance & freight are paid by CAPLINQ. Our local ware­house in Rot­ter­dam can store prod­ucts frozen (-40°C to -20°C), refrig­er­at­ed (+4 to +7C) or at room tem­per­a­ture and ship to cus­tomer on received orders. Also, CAPLINQ han­dles dan­ger­ous goods & aerosols. Your cus­tomer don’t need to wait for the goods to arrive in Europe any­more. From our ware­house, we can deliv­er to 75% of cus­tomers in 1 day, 90% of cus­tomers in 2 days and 99% of cus­tomers in 3 days. CAPLINQ offers two options for the invoice and you can choose the one suits bet­ter for your com­pa­ny. Cus­tomer can pays Sales Price direct­ly to sup­pli­er on agreed pay­ment terms, or CAPLINQ invoic­es the cus­tomer direct­ly, col­lects pay­ment and pays sup­pli­er the pur­chase price. Please vis­it us at www.caplinq.com to learn more about our sup­ply chain and order ful­fill­ment ser­vices. If you have any oth­er ques­tions about sup­ply chain and how CAPLINQ can help you to bring your busi­ness to the Euro­pean Union, please don’t hes­i­tate to con­tact us. You can learn more about how CAPLINQ ser­vices can help you to bring your busi­ness to Europe here.